Have you ever looked at the map above alpine and noticed First Hamongog, Second Hamongog, and East Hamongog? Well, you are not alone. I have done this many of times. After living in the Lehi area for the past four years and exploring the various mountains around here I finally made it up to the Hammongogs. These names sound mythological. They sound like some sort of winged sculpture. Because of this, I always presumed that they were some sort of rock formation out of the mountain. Well, I recently discovered that that is not the case. They are not some mystical rock outcropping or natural gargoyle. They are something very different. So, I went to the discovery to find the origin and why we have three of them off of the south side of Lone Peak in the Wasatch Mountains. Who Named the Hamongogs? It is difficult to locate the origin of the names of these three areas upon the North Mountain. What we can derive is where the names come from to establish what a Hamongog actually is. 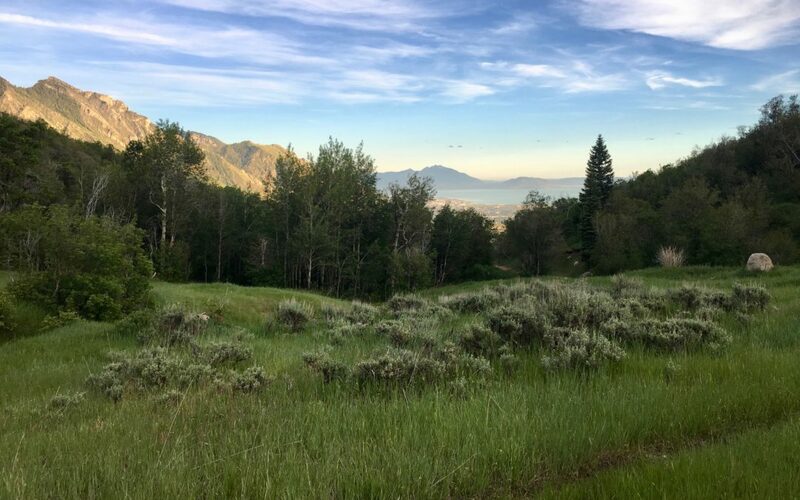 While planning a route up to Lake Hardy this past week I stumbled upon the blog, Hiking in Utah’s Wasatch Mountains which stated, “In this instance, it means ‘mountain meadow’. The name is derived from a reference in the Bible meaning ‘Valley of the multitudes of Gog’.” So, knowing a little bit of my biblical history and reference I knew that Gog was an Old Testament reference. I took this knowledge and turned to the Hebrew lexicon to divine my name origin. Hammon – Warm Springs – A city in Asher, (Joshua 19:28) apparently not far from Zidon-rabbah. So, from these three definitions, I come to the conclusion that a mountain meadow, or place of a spring, is established. I don’t think that this is going to be some Apocalyptic battleground, but they are beautiful meadows amongst a hillside full of trees. Now, go out and get up to one of the Hamongogs and enjoy them as I have. I love etymology. You did a beautiful job of describing the name and the place. I remember my first walk through theses meadows, almost 40 years ago. Thank you for your research.